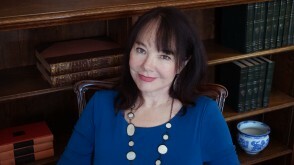 A frequent contributor to arts and parenting journals and a 2018 Pushcart Prize nominee, Leanna’s essays have appeared in Creative Nonfiction’s True Story; Full Grown People; Brain, Child: The Magazine for Thinking Mothers; The Best of Brain, Child; Literary Mama; five80split: A Journal of Arts and Letters; Hidden Manna: The Journal of Faith and Story; and Mount Holyoke and Amherst magazines. Her work has also appeared in the best-selling literary anthologies A Ghost at Heart’s Edge: Stories and Poems of Adoption and in Toddler, winner of an Independent Publishers Award (Seal Press). She was a Fiction Fellow at the Vermont Studio Center and a participating writer at the Napa Valley Writers’ Conference, Squaw Valley Conference for Writers, and the Bay Area Writers’ Project. Leanna’s most recent play, New Soul, premiered during the 2018 Play by Play Festival in Northampton, funded by the Massachusetts Cultural Council. Other plays include Grimm Women, a feminist reimagining of traditional fairy tales; Curtain Call, performed at Play by Play 2015 and at the Berkshire Theatre Group; The Wendy Chronicles, on the life and work of Pulitzer Prize-winner Wendy Wasserstein, commissioned by Mount Holyoke College in 2012 as part of its year-long celebration of the playwright; Voices of the Other I, II, and III, an oral history series developed with theatre students at John F. Kennedy University; and Inside/Beside Pinter, developed in workshop and co-written with the Inner Stage. Leanna graduated from the MFA program in creative writing at Mills College in California. A 20-year practitioner of meditation and mindfulness, Leanna is known for a teaching style that helps writers tap into their deepest creative potential. She is currently at work on a collection of essays and a new play about the mythical Dido, queen of Carthage.